This is the back of my living room. The weight machine I've had for years, but the rowing machine is new. I've gotten in the habit of heading to the gym or doing weights a few times a week, but I've found the biggest thing which can work against me is the act of going to the gym. I've been better with the weights than cardio, since I can do them at home now. No excuses, Aeto! None whatsoever! I am losing weight, too! But then I'd have even more food I'd need too work off, though! Is the wrestling-with-demons joke okay then? You want snake snuggles, and you know it! Yeah. It's funny, this morning was the first time in a few weeks I've done the rowing machine workout. It's amazing, in just a few weeks, how much endurance I lost. 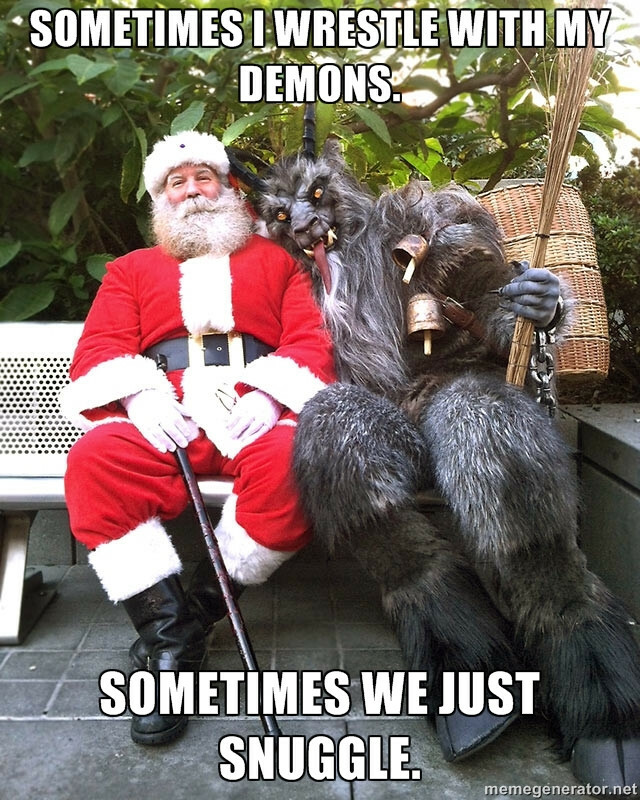 I'm going to try to work well between now and FC, and once the con's over, no more weird holiday schedules! Not what I really need to do is get back into swimming laps. Still a member of the gym, and the location 5 miles away or so has a lap pool. The chain is to prevent giving up and walking away, right?